Moving can be a daunting task. The process can lead to the loss of property and destruction of other property. This is especially dire when it comes to fragile materials. Breakages are usually heartbreaking when it is something expensive, cherished or irreplaceable like a treasured family heirloom. Such heart-breaking situations can be minimized with careful packaging intended to get the property to their destination without breakages. 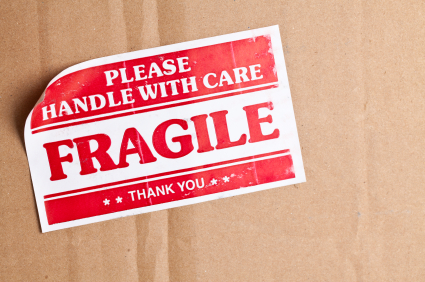 The following are some ways that fragile materials can be packaged while moving. When you make a decision to move, it is important not to rush when packaging fragile items. This is because lack of preparedness usually ends-up causing breakages. Early preparation means that you look for the necessary materials in time so as to ensure that the products are properly secured to avoid vibrations which are the main cause of breakages. Packing when there is time, ensures that the fragile materials are not banged in a hurry for lack of time. You need to buy the necessary materials for packaging. These include things like bubble wrap, cardboard packaging tape and scissors. You also need to have good quality boxes in which to package the fragile items. Packaging in low quality boxes causes shock to reach the boxes. You also need to have a surface which is spacious enough to allow for proper packaging. Such a surface could be a large table. The size should be determined by the size and quantity of the items that need to be packaged. The process of packaging fragile materials is usually time consuming and labor intensive. If you feel that you do not want the pressure and you can afford it, you can hire movers. These are professionals and they have the necessary materials and knowhow to do the work for you. Seattle based Neighbors Relocation Services can always delivers a hassle free experience, for small and large moves. If, however, you feel that you still have to do the packaging yourself, you need to know how to package some of the most common fragile items that are likely to be found among your property. The safest way to package plates is to package them vertically. They should be packaged in small boxes and at most medium sized box. The box should be lined with packing paper crumpled at the bottom and at the top of the box. Each individual plate should be wrapped in bubble wrap and the wrap secured with tape, the space between plates should also be filled with packaging paper. You should finally ensure that the box is secured with tape. Each glass should be wrapped with bubble wrap. The open space inside the glass should be filled with packaging paper. The box should be lined with packaging paper at the top and the bottom. The heavier glass items should be packaged at the bottom of the box while the lighter ones should be packaged at the top of the box. There are other fragile items that are to be found in many houses. These framed pictures, lamps, flower vases and so on. You should take an inventory of all of them whether you are doing the packaging yourself or using movers. If you are using movers, present the list and the items to them since they have no way of knowing which fragile items you have. If they don’t get all the information, they may end up not packaging some. This would lead to breakages. At Neighbors Relocation Services Seattle; we treat your possessions with the same care as if they were our own, we offer unparalleled reliability and razor sharp punctuality for both domestic and commercial removal services. Get your free quote now! Call us at: (206) 340-0200.